If Jersey Boy were an athlete in a mainstream American sport he’d be as well-known as say a Peyton Manning or Tiger Woods. 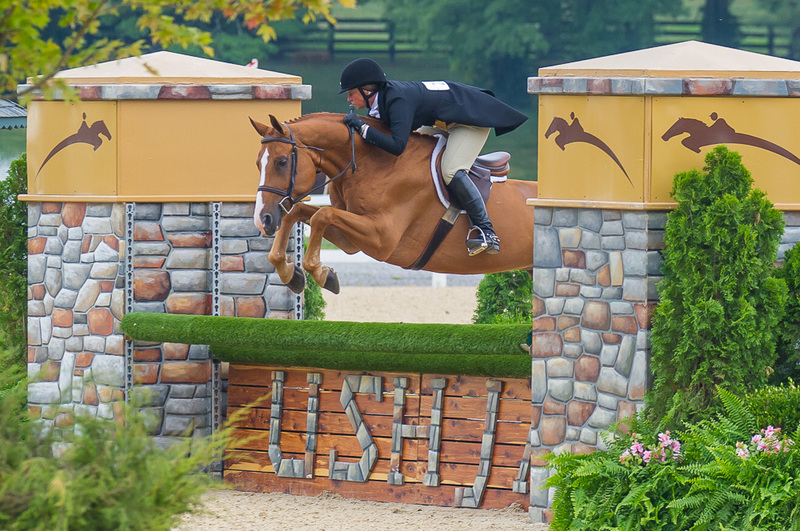 Jersey Boy, nicknamed Lewis, is the all-time money leader in the USHJA International Hunter Derby series with $196,640 earned since the program’s inception five years ago. His closest rival falls more than $70,000 short of that mark, and Lewis is still at the top of his game. The 11-year-old chestnut Hanoverian has become an icon in the show hunter sport, and rider Jennifer Alfano has patiently brought him up through the ranks from young horse to seasoned veteran, winning at every level along the way. I’ve watched Lewis evolve from a talented but notoriously playful youngster to a star performer who seems to know when it counts and rises to the occasion. So I was thrilled to hear the news this past weekend that Lewis earned one of equestrian sport’s most coveted awards: the United States Equestrian Federation National Horse of the Year title, for his owner, Susie Schoellkopf, a longtime patron of the sport. In a sport where long-term relationships between horse and rider are no longer the norm, it’s great to see such dedication recognized and rewarded. He is so stunning, and you have an award winning photo here. You’re so lucky to be able to enjoy this part of the equestrian world.